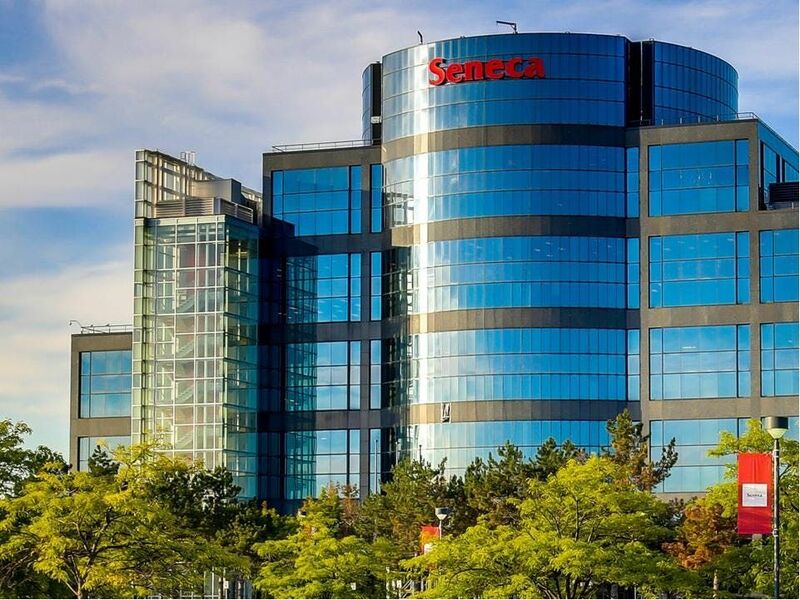 Seneca's Markham Campus is located in the heart of York Region’s business district. It’s home to programs in the areas of business, marketing and tourism. Please visit our website for more information about programs located at Markham Campus. 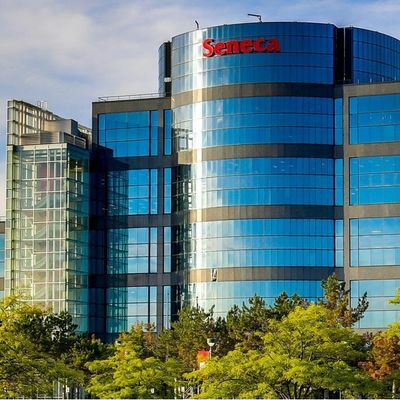 Note that Seneca will be relocating some programs as part of a large infrastructure expansion. For more information on program location changes, please visit Seneca2020. When you arrive on campus, your tour guide will meet you in front of the Student Services offices, located on the right of the main lobby. We look forward to greeting you on campus. Please note that all campus tours will promptly begin at the scheduled time. If you’re running late, please reach out to us at c3R1ZGVudCAhIHJlY3J1aXRtZW50IHwgc2VuZWNhY29sbGVnZSAhIGNh or at 416.491.4660. Parking We’re happy to cover the cost of parking for our tour guests. Parking instructions and locations will be provided on your registration confirmation. The tour guide will provide parking validation upon arrival. How long is the tour? Our tours take approximately one hour. The length may vary based on group size and/or number of questions. What will I see? Our campus tours showcase campus services, facilities and student resources. 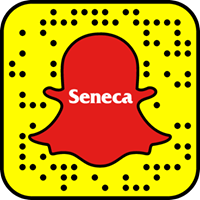 We’ll also discuss programs in general and visit classrooms and labs. Please note that access to specific labs may not always be available due to ongoing classes or for safety and security. Can I bring a guest? You’re welcome to bring a guest. We understand that the input of your friends and family is an important factor as you choose where to study. Will the tour include a visit to residence? Our residences are located at the Newnham and King Campuses. Tours of these campuses will include a tour of residence, if there is interest. The residence tour will visit common spaces and services. Depending on the time of year and occupancy, it may not be possible to see residence rooms. I’d like to bring a school or community group for a tour. Whether it’s a general tour or a tour with a program/area-specific focus, we would love to host your group on campus. Please connect with us directly at c3R1ZGVudCAhIHJlY3J1aXRtZW50IHwgc2VuZWNhY29sbGVnZSAhIGNh or 416.491.4660 to plan your visit. Elevator If you would prefer to use an elevator during your tour, please inform our Student Recruitment & Liaison Team in advance. They can be reached at c3R1ZGVudCAhIHJlY3J1aXRtZW50IHwgc2VuZWNhY29sbGVnZSAhIGNh or 416.491.4660.